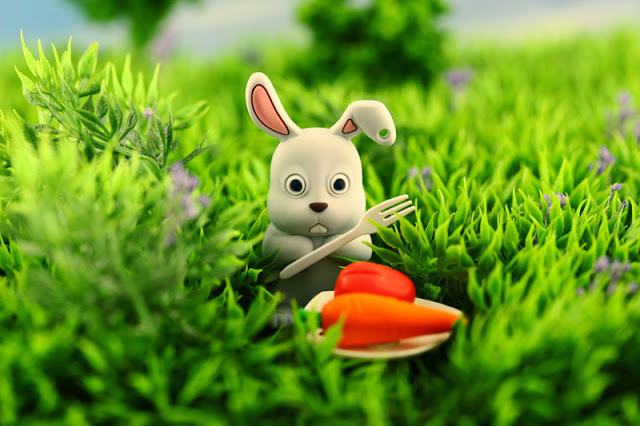 Ok Ok who put the spot lite on the Rabbit? 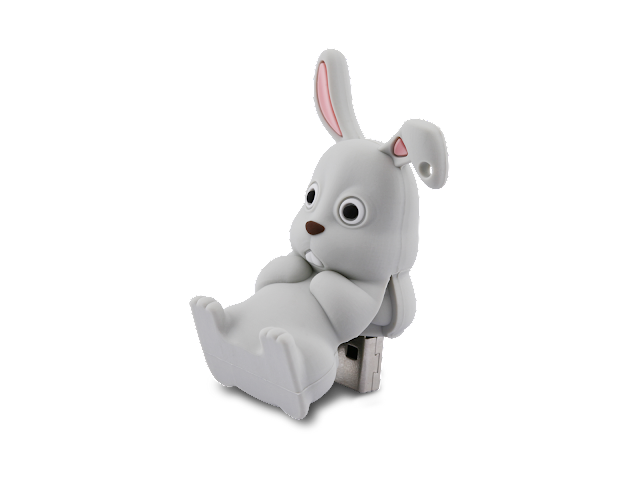 The grey Rabbit 4Gb USB flash drive from Bone Collection is the perfect gift idea symbolising new life and fertility. Indeed, the commonly used phrase 'thank your mother for the rabbits' means literally to thank your mum for giving you the gift of life. Why not return that gift with this loveable, eye catching character, which is sure to be a cherished and not soon forgotten present! Perfect for data transfers between school, home and office, or just swapping your favourite music, photos or movies with family and friends, this easy to use USB storage drive is compatible with all Windows based operating systems from Win98SE onwards. This attractive USB flash drive is also suitable for MAC OS 9.0 and above, along with Linux kernel 2.4 or later. With a large capacity of four gigabytes, this personal storage drive has plenty of space for all your data requirements. No external power is required for this device, just plug it into any powered USB slot from USB1 onwards. You'll appreciate the LED indicator for visual confirmation of data access and transfers and you will just love the interchangeable Owl shaped dust proof and washable silicone skin, offering your drive excellent protection from bumps, scratches and knocks. This cool looking skin personalises your USB storage drive so you'll never pick up the wrong digital storage at the end of your work day, IT class, study or photo and music swapping session. Offering unique and adorable looks, excellent storage capacity and a life time warranty, this USB attached drive is the perfect choice for all your file swapping, transfers and other digital storage requirements. a gift both practical and useable! This awesome Ginger Wrap from Bone Collection is a convenient way to keep your personal audio earphone cables neatly wrapped up, reducing tangles and the risk of damage caused by over stretching & cable stress. One of the more unique and colourful cable tidies available, the Bone Wraps are made from soft silicone to protect your valuable earphone's cables and is washable, so it is perfect for anyone coming into contact with dust and dirt from trades people, school kids and a must have for fitness lovers, working up a sweat whilst working out! This dustproof, washable cable tidy is 100% bio degradable and with its tiny 6.2g net weight, this ginger man shaped cable wrap is convenient, easy to use and even easier to store away in your pocket, briefcase, school bag or backpack whilst not in use, keeping your earphone cables tucked away safe and sound till the next time you want to rock out! 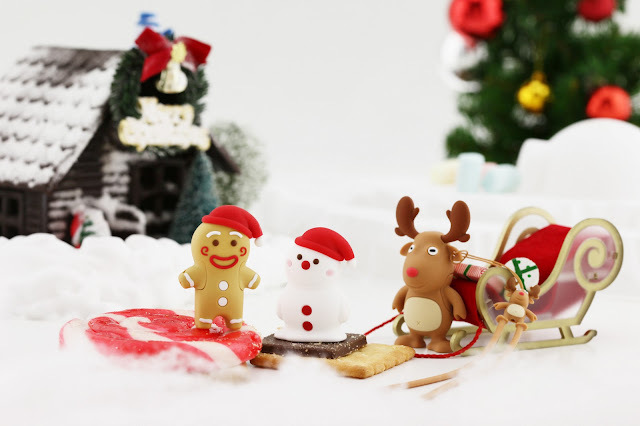 A classic folktale icon from medieval times, popularised through the story of Hansel and Gretel, or even just as a yummy treat, gingerbread has always had a special place as a cherished, enjoyable and practical gift. 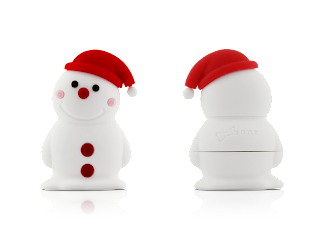 This 4Gb Bone Collection personal digital storage drive continues the tradition of giving something special to those we care about and like gingerbread, it is a gift both practical and enjoyable! Perfect for data transfers between the home and office or the school & uni computer labs and compatible with all Windows based operating systems from Win98SE onwards, this attractive USB flash drive is also suitable for MAC OS 9.0 and above, along with Linux kernel 2.4 or later. With a large capacity of four gigabytes, this personal storage drive has plenty of space for all your work, favourite music and treasured photos with loved ones & best friends. You'll even fit a movie or two! No external power is required for this device, just plug it into any powered USB slot from USB1 onwards. You'll appreciate the LED indicator for visual confirmation of data access and transfers and you will just love the interchangeable deer shaped dust proof and washable silicone skin, offering your drive excellent protection from bumps, scratches and knocks. This cool looking skin personalises your USB storage drive so you'll never pick up the wrong digital storage at the end of your work day, IT class, study or photo and music swapping session. Offering unique and adorable looks, excellent storage capacity and a life time warranty, this USB attached drive is the perfect choice for all your file swapping, transfers and other digital storage requirements. The snowman is a favourite character for little and big kids alike, a celebration of both wintertime and a white Christmas. 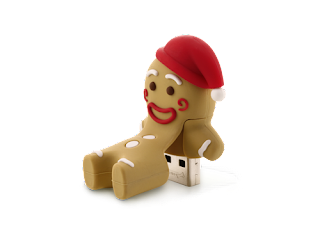 The seasons may change, however your data will last long after your winter snowman has melted away making this USB flash drive perfect for data transfers between the home and office or the school & uni computer labs. Compatible with all Windows based operating systems from Win98SE onwards, this attractive USB flash drive is also suitable for MAC OS 9.0 and above, along with Linux kernel 2.4 or later. With a large capacity of four gigabytes, this personal storage drive has plenty of space for all your work, favourite music and treasured photos with loved ones & best friends. You'll even fit a movie or two! No external power is required for this device, just plug it into any powered USB slot from USB1 onwards. You'll appreciate the LED indicator for visual confirmation of data access and transfers and you will just love the interchangeable deer shaped dust proof and washable silicone skin, offering your drive excellent protection from bumps, scratches and knocks. This cool looking skin personalises your USB storage drive so you'll never pick up the wrong digital storage at the end of your work day, IT class, study or photo and music swapping session. Offering unique and adorable looks, excellent storage capacity and a life time warranty, this USB attached drive is the perfect choice for all your file swapping, transfers and other digital storage requirements. Bone in time for Christmas! Are you looking for that last minuet gift for Christmas? Or do you just love Christmas like me and want to take it with you to show your spirit? What better gift could you get a IT geek than a Christmas themed USB drive! or fill it with photos of the kids over the year and give it to a loved one! The exchanging of gifts is one of the core aspects of the modern Christmas celebration, making the Christmas season the most profitable time of year for retailers and businesses throughout the world. Gift giving was common in theRoman celebration of Saturnalia, an ancient festival which took place in late December and may have influenced Christmas customs. Christmas gift giving was banned by the Catholic Church in the Middle Ages due to its suspectedpagan origins. It was later rationalized by the Church on the basis that it associated St. Nicholas with Christmas, and that gifts of gold, frankincense and myrrh were given to the infant Jesus by the Biblical Magi. A number of figures of both Christian and mythical origin have been associated with Christmas and the seasonal giving of gifts. Among these are Father Christmas, also known as Santa Claus, Père Noël, and the Weihnachtsmann; Saint Nicholas or Sinterklaas; the Christkind; Kris Kringle; Joulupukki; Babbo Natale; Saint Basil; and Father Frost. The most famous and pervasive of these figures in modern celebration worldwide is Santa Claus, a mythical gift bringer, dressed in red, whose origins have diverse sources. The name Santa Claus can be traced back to the Dutch Sinterklaas, which means simply Saint Nicholas. Nicholas was Bishop of Myra, in modern day Turkey, during the 4th century. Among other saintly attributes, he was noted for the care of Children, generosity, and the giving of gifts. His feast on the 6th of December came to be celebrated in many countries with the giving of gifts. Saint Nicholas traditionally appeared in bishop's attire, accompanied by helpers, inquiring about the behaviour of children during the past year before deciding whether they deserved a gift or not. By the 13th century, Saint Nicholas was well known in the Netherlands, and the practice of gift-giving in his name spread to other parts of central and southern Europe. At the Reformation in 16th–17th century Europe, many Protestants changed the gift bringer to the Christ Child or Christkindl, corrupted in English to Kris Kringle, and the date of giving gifts changed from December the 6th to Christmas Eve. The modern popular image of Santa Claus, however, was created in the United States, and in particular in New York. The transformation was accomplished with the aid of notable contributors including Washington Irving and the German-American cartoonist Thomas Nast (1840–1902). Following the American Revolutionary War, some of the inhabitants of New York City sought out symbols of the city's non-English past. New York had originally been established as the Dutch colonial town of New Amsterdam and the Dutch Sinterklaas tradition was reinvented as Saint Nicholas.In 1809, the New-York Historical Society convened and retroactively named Sancte Claus the patron saint of Nieuw Amsterdam, the Dutch name for New York City. At his first American appearance in 1810, Santa Claus was drawn in bishops' robes. However as new artists took over, Santa Claus developed more secular attire. Nast drew a new image of "Santa Claus" annually, beginning in 1863. By the 1880s, Nast's Santa had evolved into the robed, fur clad, form we now recognize, perhaps based on the English figure of Father Christmas. The image was standardized by advertisers in the 1920s. 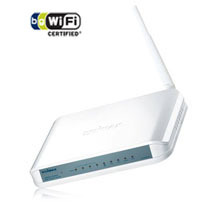 Edimax Wireless AR-7266WnA Modem Router Speed up your WiFi Now! The Edimax AR-7266WnA is a IEEE802.11 b/g/n ADSL2/2+ high performance router that provides full ADSL2+ data rates providing superb reliability and offering a cost effective solution for both home and small business environments. This modem router complies with 802.11n, the next generation in wireless standards and with the inbuilt advanced MIMO technology, this router provides up to nine times better data transmission rate (up to 300Mbps) and five times better coverage than a standard 802.11g/b router. Feature highlights include a WiFi Protected Setup (WPS) button, helping you setup a secure wireless network in just moments. The built in ADSL2/2+ Modem and IP sharing features allow you to share the ADSL broadband connection to all wired and wireless network users (up to 253 users), with up to 24Mbps downstream and 1Mbps upstream. The AR-7266WnA offers virtual server and DMZ for applications demanding an open port such as hosting an internet game server and flexibility in setup with detachable antennas, with two 3dBi RP-SMA antennas included in the package and an easy method of upgrading to a separately purchased high gain antenna. A unique multi language setup wizard is provided on the included installation CD, so you'll have no trouble understanding the simple steps to setup an internet connection, password, SSID, wireless security or do a firmware upgrade on your router. This product is backed by a three year warranty and the genuine, unmatched Edimax technical support provided direct to the consumer via the local Australian phone support hot line and also via MSN, giving complete piece of mind to both retailer and consumer alike. For complete convenience, should an Edimax product need to be replaced, the customer can return to either their point of purchase, or direct to Edimax Technology themselves. 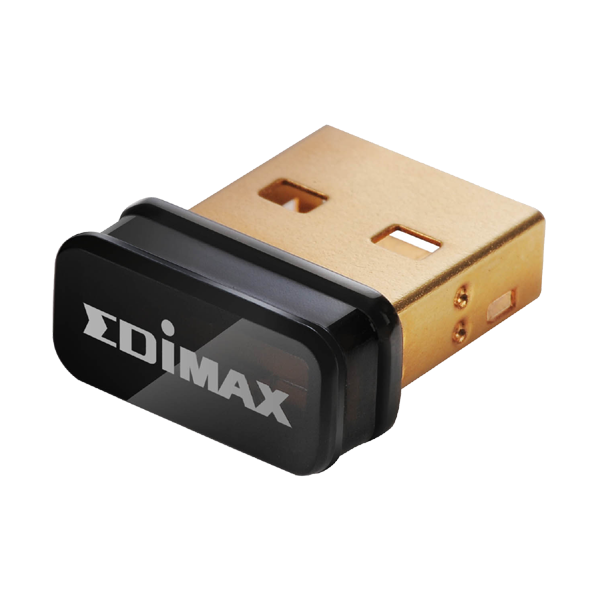 "The Edimax Wireless nLITE High Gain USB adaptor has quite surprised me to be honest. At the price point it is at, I didn't expect it to be so feature packed and give as good performance as it has. The styling of the adaptor is very Apple-esque, but that's not a criticism. I like the clean looks and honest build. Everything is there for a reason and there are no silly gimmicks. It's attractively packaged, and installation was very easy. As soon as the adaptor was installed, it picked up my network straight away without any fuss. Establishing a secure connection to the router with the WPS feature was just a case of pressing a button on the router and adaptor, this is something that I cannot praise highly enough, as some people struggle to secure their wireless networks and anything that makes the task easier is a definite bonus." The AR-7284WnA/B has integrated ADSL2/2+ Modem and lP Sharing functions. Conveniently, link the DSL broadband connection to as many as 253 wired and wireless network clients while simultaneously benefitting from any ADSL, ADSL2 or ADSL2+ Internet connection with up to 24Mbps Downstream speed and 1Mbps Upstream speed. Time-consuming set up problems are eliminated, because Edimax’s unique multi-language Setup Wizard allows you to select your own language and follow the graphical user interface to set up the Internet connection, router's password, SSID, wireless security and firmware, and upgrade in a few, basic steps. AR-7284WnA/B also supports Wi-Fi Protected Setup (WPS) technology for activated and advanced wireless protection and connection at the touch of a single button. The simple, One-Click WPS button helps you establish a secure wireless network in as short as one minute. Click once, and you are on your way to a stabler network. Explore the Internet with minimum security concerns as our AR-7284WnA/B supports 4 SSIDs for wireless client’s isolation. Each SSID can have different security settings, which allows one user to have access to only 1 of the 4 SSIDs for better wireless traffic management. You can enable “User Isolation” to isolate all users who are in the same SSID LAN. It also supports inbound/outbound IP filters for you to identify and manage incoming/outgoing IP traffic and supports Schedule Control and Parental control for you to restrict clients’ access to improper websites or to manage the duration of Internet access. AR-7284WnA/B’s built-in USB port makes connecting to PCs or NBs via. this USB port fast and easy. For applications that require open ports, such as: online games, VoIP phones, web servers and others, its Virtual Server and DMZ functions provide an ideal and powerful solution for your advanced needs. The AR-7284WnA/B also supports TR-069 Remote Management, which is a protocol specifically defined as a common method for CPE devices to communicate with a server. Your ISP can update the firmware and other settings automatically. This modem router is the number 1 choice for convenience, reliability and protection for your home and small business requirements. Edimax Technology, a leading manufacturer of networking solutions, outpaces itself once again, with more stream-lined solutions that continues to lead the IT industry. Today, Edimax launched the smallest USB adapter currently on the market. This nano-sized EW-7811Un is the most portable solution for mobile users without compromising performance or power. So, whoever believed that reliability and convenience were too much to expect, Edimax has once again delivered a truly first-grade product. “Plug it in and forget it” has never been truer. Its compact and sleek design allows it to fit easily into the USB port, and users can forget about it thereafter. No need to plug and unplug every time while packing and unpacking your notebook, because this USB adapter is even smaller than a 20cent coin. EW-7811Un complies with the traditional 802.11b/g standards but is also compatible with the latest 802.11n technology. 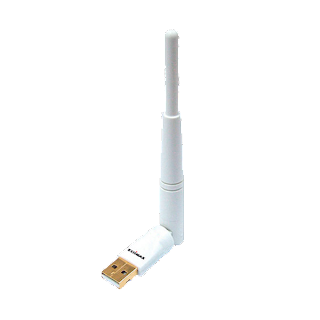 Connect it to an 11n device, and this nano adapter offers stabler connections and wireless transmission speeds of up to 150Mbps. The ultimate in small adapters facilitates the transfer of files and media streams from greater distances around the entire home or office when plugged into the USB port of a desktop or notebook. The adapter increases wireless coverage up to 3 times more while decreasing “dead spots”. Reach farther, and work better with EW-7811Un. With smart transmission power control, EW-7811Un adapts outputs according to distance and CPU offloads. To save energy, this compatible green WLAN adapter smartly reduces power when wireless LAN is idle. Energy consumption can be lowered between 20~50% when using this solution for greater environmental safety and less pressure on your wallet. EW-7811Un’s global-user-friendly design incorporates a multi-lingual EZmax setup wizard to ensure fast and simple configuration from anywhere in the world. Users need only select preferred language, and follow the simple steps of the wizard. 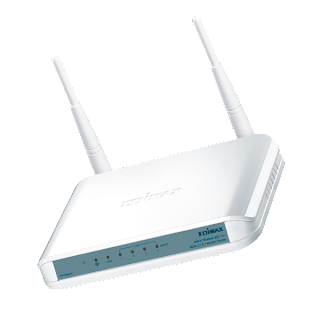 Since, the adapter supports Wi-Fi Protected Setup (WPS), it simplifies the configuration of wireless security on your wireless network. In fact, it is so simple that immediate security is at your fingertips: press 2 buttons, and your network safety is guaranteed. Edimax intends to remain a leader of the industry, and by adding to its reputable range of smart, powerful and “plug and forget” innovation its pledge. Edimax Join Forces With Mittoni! Edimax Technology is dedicated to the design, development, manufacture and marketing of a broad range of networking solutions. Since Edimax was founded in Taiwan in 1986, the company has grown to be among Asia’s leading manufacturers of advanced network communication products. Edimax is headquartered in Taipei County, Taiwan, Republic of China and has been listed at the Taiwanese Stock Exchange since 2001. In 2009, the company’s group revenue reached approximately US $110 million worldwide. 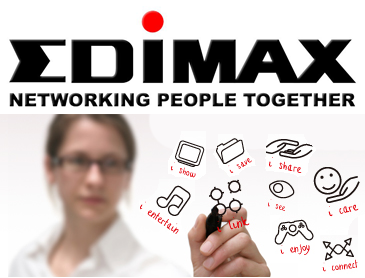 Edimax’s Taiwan- and China-based Research & Development / Engineering team consists of 200 staff members. Their solid educational background and professional experience have contributed to our success in developing new products in order to expeditiously meet market demands. We are increasing the investment in our Research & Development centers to strengthen their capabilities and to develop innovative products and solutions. Edimax’s products are all CE, FCC and C-Tick emission certified. The wireless 802.11n range is Wi-Fi certified, and all drivers are being tested by Microsoft and NSTL to ensure their interoperability. In 2003, the company was ISO 9001 and ISO 14000 certified, further ensuring the highest quality of products and services. 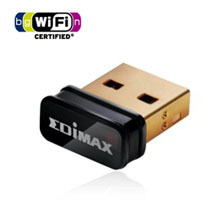 Edimax has entered into strategic partnerships with several chipset vendors and participates, among others, in the Wi-Fi Alliance and the Gigabit Ethernet Alliance. Edimax’s wide and comprehensive product lines satisfy all connectivity needs for any networking architecture and application. Our products are distinguished by their value and excellent support. The complete product ranges consist of Wireless solutions, Print Server solutions, xDSL Router solutions, Ethernet Switch solutions, PoE solutions, Powerline solutions, Network Access Controllers, Load Balancer solutions, IP Camera solutions, VoIP solutions, KVM Solutions, Media Converter solutions, Home Entertainment Integration and customer-oriented Networking application solutions. Contact Mittoni today for a list of products and pricing! 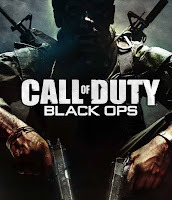 3RD Space Black Ops Gaming Impact Vest In Stock! 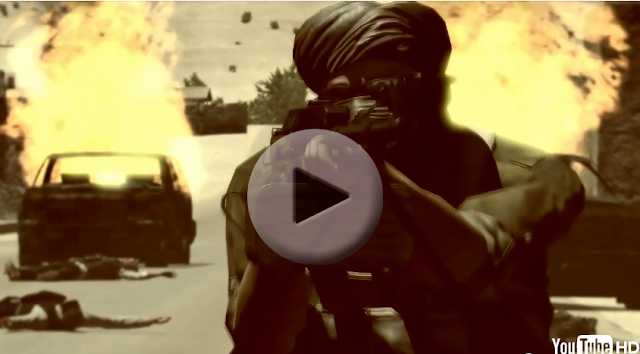 PMC (Private Military Company) is now available as downloadable content for ArmA2. 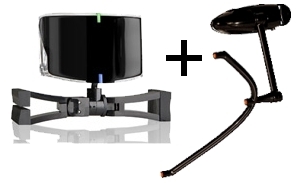 Supporting all manner of flight controls, TrackIR and our entire range of speakers, headsets, keyboards, mice and gamepads; ArmA2 is the kind of title you can leverage increased hardware and peripheral sales from your customers - so get with the program and back the winning team – the gaming team! Installing memory is easy and fun! 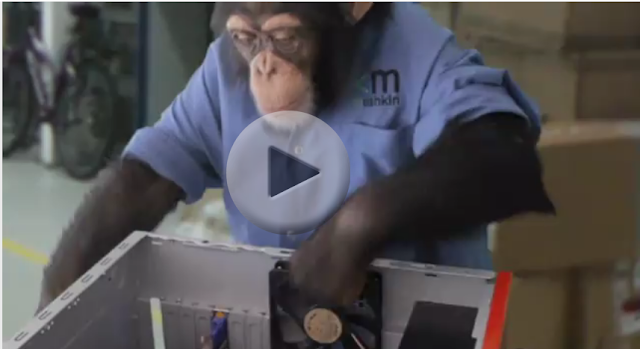 Even a chimpanzee can do it! Upgrade your RAM to Mushkin today! 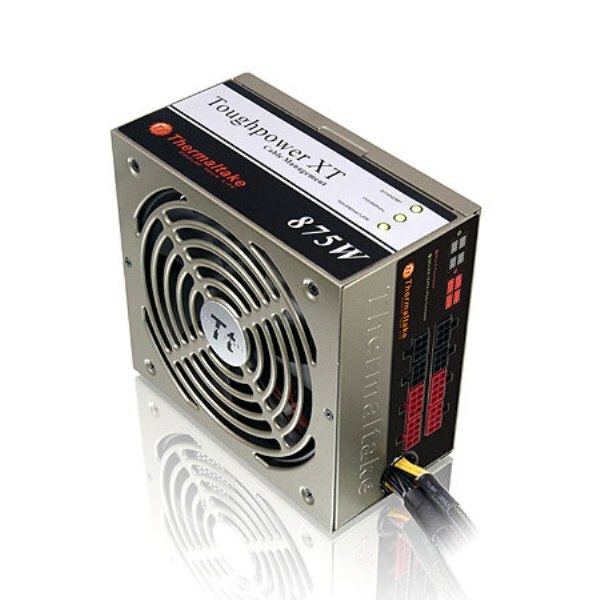 Thermaltake Litepower The PSU Everyone Wants! The retail boxed Thermaltake Litepower 600w power supply is Intel ATX 12V 2.3 compatible and is Intel/AMD CPU compliant and Nvidia & ATI/AMD graphic card compatible. 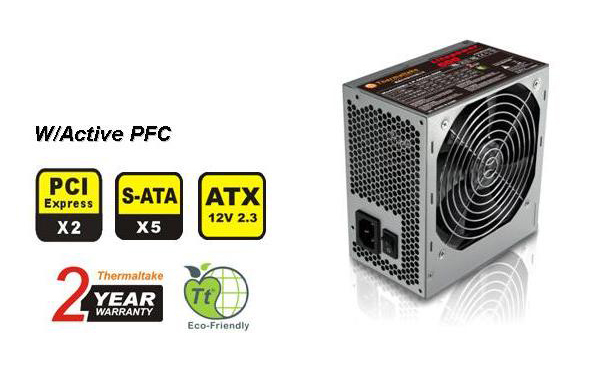 This power supply has 100-240VAC input with automatic adjustment and active PFC for global usage. The dedicated dual +12V rails ensure efficient power delivery to critical components within the PC. It has a high reliability with a MTBF @ 100,000 hours. This power supply has over current, over voltage and short circuit protection as well as UL, TUV, FCC, CE, BSMI, GOST certified safety & EMI approval. This dual +12v rail PSU features the following connectors: One 20/24pin main power, one 4+4 pin +12v motherboard connector supporting EPS, one 6+2-pin PCI Express (supports both 6-pin and 8-pin power connectors), six 4-pin peripheral, five serial ATA & one floppy connector. Cooling is provided by a 120mm low noise fan. The PSU dimensions are 150mm(W) x 86mm(H) x 140mm(D) & this Litepower power supply comes with a two year warranty. 430w Litepower, 500w Litepower, 600w Litepower and 700w Litepower in stock now! Thermaltake Toughpower XT true lifetime warranty! Backed by Thermaltake Australia's exclusive true lifetime warranty, this 875w black NVIDIA SLI, ATI Crossfire & 80Plus certified, active power factor correction PSU complies to Intel ATX 12v 2.3 and EPS 12v 2.91 standards and offers a maximum output capacity of 875w and a peak output capacity at 975w, with a hold up time of 15msec (minimum) at 80% of full load. This product is cooled via a 140mm dual ball bearing fan spinning at 1900rpm and including "fan delay cool technology", which allows the fan to continue to spin after system shut down to ensure all components are effectively cooled. Supporting the latest video cards, main boards and other power hungry components, this PSU offers one 24-pin main power connector, one ATX 12v (4+4-pin), one EPS 12v (8-pin), two PCI-E 8-pin (6+2-pin), two PCI-E 6-pin, eight 5-pin SATA, six 4-pin peripheral connectors and one 4-pin floppy plug. Input voltages are 100vac ~ 240vac, input currents are 115vac ~ 230vac and this product has an operational temperature range of 0c ~ +50c. Supporting industrial grade protections including over current, over power, over voltage, under voltage and short circuit, this product has an MTBF rated at 120,000 hours. Safety & EMI certifications for this unit include UL/CUL, TUV, FCC, CE, BSMI, GOST and the dimensions for this PSU are 160mm x 150mm x 86mm (L/W/H). 675w, 775w and 875w in stock now!